Antarctica has been a very large name in the news lately. Why is that? Let’s look to recent disclosures from David Wilcock to assist in answering that question. In his most recent article, “ENDGAME: Disclosure and the Final Defeat of the Cabal”, David Wilcock states that the Cabal may try and use the continent of Antarctica in a last ditch effort to retain the control that they are swiftly losing. He refers to their plan as a “Hail Mary effort”; a Hail Mary is a pass is what a football team tries to use in the last seconds of the game, throwing the ball to the end zone as a final effort to score point to take the win. With the Pizzagate scandal shining light on their nefarious activities, multiple countries around the world electing anti-establishment leaders, and the rising of revolutions around the world, the elite Cabal need to pull something to save their skin, and their end zone Hail Mary pass may be going to Antarctica. Let us now diagram how the Elite have been seeding our consciousness over the past few months to pull off this partial disclosure scenario. Over the past few weeks, multiple famous names have been in the news heading down to the Antarctic circle. John Kerry announced he was going to the South Pole prior to the U.S. election, leaving many to speculate as to what ulterior motives there may be for sending him to the southernmost continent. On December 1st, it was revealed that Buzz Aldrin needed to be evacuated to New Zealand from Antarctica. While it is reported that Kerry and Aldrin were down there for “climate change observing” and “tourism,” one may speculate there are other reasons behind their spontaneous Southern excursions. While the news broke of famous faces heading south, many mainstream outlets also spoke of new discoveries in the Antarctic region. 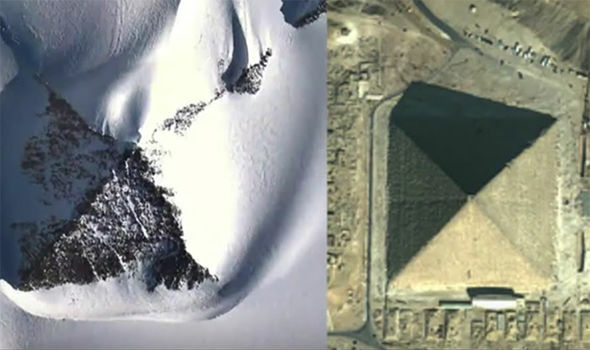 On November 25th, in an article by Express UK, entitled, “'Snow pyramid discovery' in Antarctic could change the course of HUMAN HISTORY”, the author discusses Google Earth images showing a snow pyramid that have surfaced. Interestingly enough, they also published this picture in the article. What do you think they want to tell us? This article, also from the Express agency dated August 17th, discusses a “Mysterious 14 mile structure ‘buried’ in Antarctica found on Google”. In the article they reference a YouTube video from the user “Wowforreel” where he spots a large protrusion on the Antarctic surface on Google Maps. It is quite peculiar to note that his video was release in 2012, but they only decided to post a story on it within the last few months. 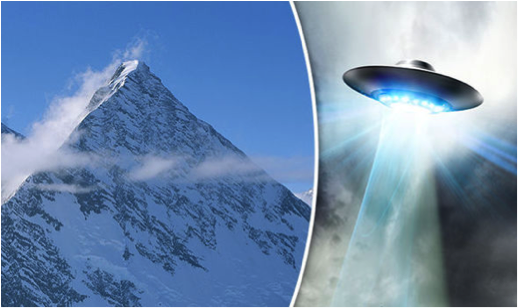 The Cabal may have been using their media to seed these concepts of Antarctic civilizations in the mass consciousness for months now, waiting to pull that card of partial disclosure. Partial disclosure is a term referring to a slow and carefully coordinated releases of information that allow certain power players to maintain control under the guise of revealing the truth. It would involve the acknowledgement of UFOs, hidden aspects of human history, and a release of some advanced technology—but only those things which satisfy curiosity at a shallow level. The Cabal would still be in control of this post partial disclosure world, and as such, it can be likened to a psychological warfare tactic. We must be diligent in our efforts to expose their plans by continuing to seek and share the whole truth. Full disclosure is the only option. Jordan Sather is a health coach and truth seeker from Washington State. His mission is to assist with the evolution of consciousness that humanity is currently undergoing. Along with his writing and coaching endeavors, he runs two youtube channels to assist with both individual and collective transformation. His Conscious Strength channel offers cutting edge health and wellness advice, and his Realfake News brings you conscious commentary on breaking news stories that you need to know. You can reach him by his website, or his facebook. Additions and editing by Justin Deschamps. This article (Antarctic "Pyramids" and Ruins Could be Used in Partial Disclosure Psyop) by Jordan Sather originally appeared on StillnessintheStorm.com and is free and open source. You have permission to share or republish this article in full so long as attribution to the author and stillnessinthestorm.com are provided. If you spot a typo, email sitsshow@gmail.com.